Mark is responsible for the accounting, financial and operational reporting functions for Green Courte’s investment funds and portfolio companies. Mark joined Green Courte in 2015. Prior to joining Green Courte, Mark served for seven years as Global Controller and Principal Accounting Officer at Jones Lang LaSalle Incorporated (NYSE: JLL). 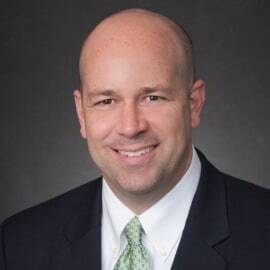 Mark has spent over twenty years in senior finance and accounting roles within a number of public and private companies, including Jones Lang LaSalle Incorporated, JPMorgan Chase & Co./Bank One Corporation (NYSE: JPM) and Deloitte & Touche LLP. Mark is a member of the American Institute of Certified Public Accountants and holds the Chartered Global Management Accountant designation. Mark earned a Bachelor of Business Administration with a concentration in Accountancy from the University of Notre Dame.